What’s Blue and Yellow and Full of (Meat)Balls? Many Scots have a view or an image in their mind about IKEA. Maybe it is the vivid blue and yellow, perhaps it is the Swedish meatballs in the cafeteria, probably it involves the catalogue, possibly their peculiar shopping method and the distinctive layout of their stores or even the price and quality of their products. Which is all a bit strange given they only have two stores in Scotland. But then, when they hadn’t yet ventured north, there were regular bus trips from the central belt down to the Gateshead IKEA. But all around the world people seem to know IKEA. So what is it about IKEA? What do people see in it? Is it simply a little bit of Sweden in Scotland? Or in Singapore or wherever? One of my colleagues (Steve Burt, together with his Swedish colleagues Ulf Johansson and Asa Thelander) has just produced a book that tries to think about some of these issues, not only in a Scottish context, but in a global one. Academics often hold up IKEA as a model of a global retailer, opening its standard format in whichever country and whenever it can. However, is this actually the case? And from a consumer perspective do people “consume” IKEA in the same way everywhere? In an age of complaint about standardisation in many quarters, why is the very standard IKEA so successful? Surely it is not just Scandinavian style or the promise of those meatballs? The book is the culmination of a multi-national and multi-method research programme into Transferring International Retail Image. What do the authors conclude? All aspects of the company feed into the image that consumers “consume”, be it the stores, employees, catalogues, as well as the things the retailer leaves out of the image they create. Many retailers fail to transfer internationally. This could be for internal operational reasons but also for external consumer reasons as well. It is a big challenge to get this right; IKEA seem to have at this point. When we look around the Scottish retail scene we see a range of international entries to our market. On the other hand we could think about the image that we could portray if we could take Scotland and Scottish retailing abroad. What would a Scottish IKEA (as opposed to the obviously Swedish one) look like? Or a Scottish version of Eataly, whether original or in New York? What parts of our culture are exportable in a retail sense? Understanding this, and the customer reactions to Scottishness (or Britishness) might help retailers refine their international activities. 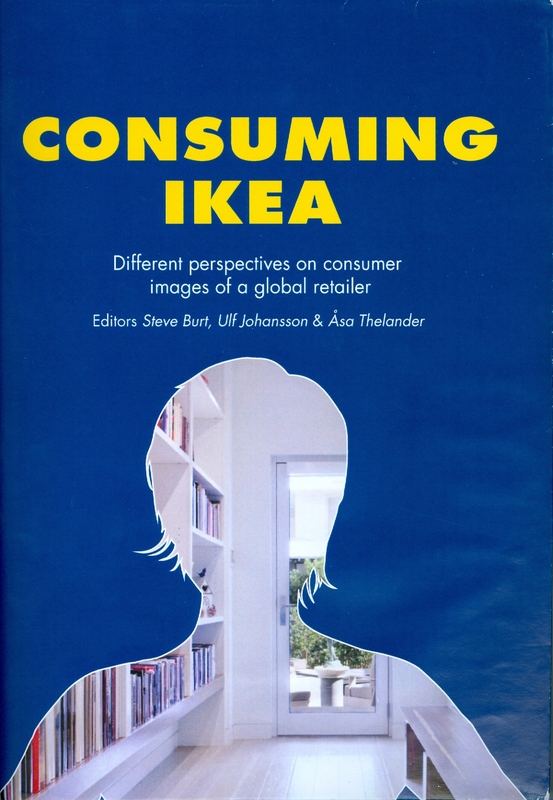 “Consuming IKEA” is published by Lund University Press in Lund, Sweden, but is not yet available in IKEA – anywhere. This entry was posted in IKEA, International Retailing and tagged Eataly, IKEA, International retailing, Scotland. Bookmark the permalink.